A delicious blend of organic Colombian coffee with coconut oil for energy and protein for power, a Super Coffee designed to deliver better energy for your mind and body. Healthy fuel for morning workouts and focused energy for those late nights in the library. As a college basketball player, he was tired. He needed healthy fuel for his morning workouts and focused energy for those late nights in the library. He blended organic Colombian coffee with coconut oil for energy and protein for power, a Super Coffee designed to deliver better energy for your mind and body. 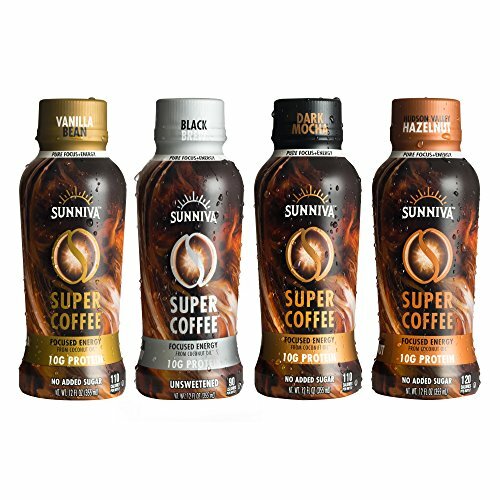 From a freshman's dorm room to the shelves of Whole Foods, Sunniva Caffe is here to help you be your best. Our Super Coffee is a Gift From the Sun designed for YOU... the student-athlete in the pool while campus sleeps, the analyst burning the midnight oil, the yoga mom up early packing lunch for your kids, the journalist in need of inspiration, the crossfitter trying to PR before the sun comes up, the musician rehearsing for Friday nights solo.